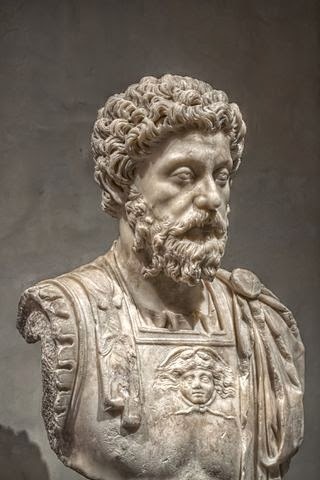 Marcus Aurelius Antoninus. (121–180). The Meditations of Marcus Aurelius. Every luxury, all the wealth in the world at his command - yet Marcus Aurelius, Emperor of haughty Rome, led a simple life even in a palace. He left his secret in his "Meditations." 1. IN the morning when thou risest unwillingly, let this thought be present—I am rising to the work of a human being. Why then am I dissatisfied if I am going to do the things for which I exist and for which I was brought into the world? Or have I been made for this, to lie in the bedclothes and keep myself warm?—But this is more pleasant.—Dost thou exist then to take thy pleasure, and not at all for action or exertion? Dost thou not see the little plants, the little birds, the ants, the spiders, the bees working together to put in order their several parts of the universe? And art thou unwilling to do the work of a human being, and dost thou not make haste to do that which is according to thy nature?—But it is necessary to take rest also.—It is necessary: however nature has fixed bounds to this too: she has fixed bounds both to eating and drinking, and yet thou goest beyond these bounds, beyond what is sufficient; yet in thy acts it is not so, but thou stoppest short of what thou canst do. So thou lovest not thyself, for if thou didst, thou wouldst love thy nature and her will. But those who love their several arts exhaust themselves in working at them unwashed and without food; but thou valuest thy own nature less than the turner values the turning art, or the dancer the dancing art, or the lover of money values his money, or the vainglorious man his little glory. And such men, when they have a violent affection to a thing, choose neither to eat nor to sleep rather than to perfect the things which they care for. But are the acts which concern society more vile in thy eyes and less worthy of thy labour? 2. How easy it is to repel and to wipe away every impression which is troublesome or unsuitable, and immediately to be in all tranquillity. 3. Judge every word and deed which are according to nature to be fit for thee, and be not diverted by the blame which follows from any people, nor by their words, but if a thing is good to be done or said, do not consider it unworthy of thee. For those persons have their peculiar leading principle and follow their peculiar movement; which things do not thou regard, but go straight on, following thy own nature and the common nature; and the way of both is one. 4. I go through the things which happen according to nature until I shall fall and rest, breathing out my breath into that element out of which I daily draw it in, and falling upon that earth out of which my father collected the seed, and my mother the blood, and my nurse the milk; out of which during so many years I have been supplied with food and drink; which bears me when I tread on it and abuse it for so many purposes. 5. Thou sayest, men cannot admire the sharpness of thy wits.—Be it so; but there are many other things of which thou canst not say, I am not formed for them by nature. Show those qualities then which are altogether in thy power: sincerity, gravity, endurance of labour, aversion to pleasure, contentment with thy portion and with few things, benevolence, frankness, no love of superfluity, freedom from trifling magnanimity. Dost thou not see how many qualities thou art immediately able to exhibit, in which there is no excuse of natural incapacity and unfitness, and yet thou still remainest voluntarily below the mark? or art thou compelled through being defectively furnished by nature to murmur, and to be stingy, and to flatter, and to find fault with thy poor body, and to try to please men, and to make great display, and to be restless in thy mind? No, by the gods: but thou mightest have been delivered from these things long ago. Only if in truth thou canst be charged with being rather slow and dull of comprehension, thou must exert thyself about this also, not neglecting it nor yet taking pleasure in thy dullness. 6. One man, when he has done a service to another, is ready to set it down to his account as a favour conferred. Another is not ready to do this, but still in his own mind he thinks of the man as his debtor, and he knows what he has done. A third in a manner does not even know what he has done, but he is like a vine which has produced grapes, and seeks for nothing more after it has once produced its proper fruit. As a horse when he has run, a dog when he has tracked the game, a bee when it has made the honey, so a man when he has done a good act, does not call out for others to come and see, but he goes on to another act, as a vine goes on to produce again the grapes in season.—Must a man then be one of these, who in a manner act thus without observing it?—Yes.—But this very thing is necessary, the observation of what a man is doing; for it may be said, it is characteristic of the social animal to perceive that he is working in a social manner, and indeed to wish that his social partner also should perceive it.—It is true what thou sayest, but thou dost not rightly understand what is now said; and for this reason thou wilt become one of those of whom I spoke before, for even they are misled by a certain show of reason. But if thou wilt choose to understand the meaning of what is said, do not fear that for this reason thou wilt omit any social act. 7. A prayer of the Athenians: Rain, rain, O dear Zeus, down on the plowed fields of the Athenians and on the plains.—In truth we ought not to pray at all, or we ought to pray in this simple and noble fashion. 8. Just as we must understand when it is said, That Æsculapius prescribed to this man horse-exercise, or bathing in cold water, or going without shoes, so we must understand it when it is said, That the nature of the universe prescribed to this man disease or mutilation or loss or anything else of the kind. For in the first case prescribed means something like this: he prescribed this for this man as a thing adapted to procure health; and in the second case it means, That which happens to [or suits] every man is fixed in a manner for him suitably to his destiny. For this is what we mean when we say that things are suitable to us, as the workmen say of squared stones in walls or the pyramids, that they are suitable, when they fit them to one another in some kind of connection. For there is altogether one fitness [harmony]. And as the universe is made up out of all bodies to be such a body as it is, so out of all existing causes necessity [destiny] is made up to be such a cause as it is. And even those who are completely ignorant understand what I mean, for they say, It [necessity, destiny] brought this to such a person.—This then was brought and this was prescribed to him. Let us then receive these things, as well as those which Æsculapius prescribes. Many, as a matter of course, even among his prescriptions, are disagreeable, but we accept them in the hope of health. Let the perfecting and accomplishment of the things, which the common nature judges to be good, be judged by thee to be of the same kind as thy health. And so accept everything which happens, even if it seem disagreeable, because it leads to this, to the health of the universe and to the prosperity and felicity of Zeus [the universe]. For he would not have brought on any man what he has brought, if it were not useful for the whole. Neither does the nature of anything, whatever it may be, cause anything which is not suitable to that which is directed by it. For two reasons, then, it is right to be content with that which happens to thee; the one, because it was done for thee and prescribed for thee, and in a manner had reference to thee, originally from the most ancient causes spun with thy destiny; and the other, because even that which comes severally to every man is to the power which administers the universe a cause of felicity and perfection, nay even of its very continuance. For the integrity of the whole is mutilated, if thou cuttest off anything whatever from the conjunction and the continuity either of the parts or of the causes. And thou dost cut off, as far as it is in thy power, when thou art dissatisfied, and in a manner triest to put anything out of the way. 9. Be not disgusted, nor discouraged, nor dissatisfied, if thou dost not succeed in doing everything according to right principles; but when thou hast failed, return back again, and be content if the greater part of what thou doest is consistent with man’s nature, and love this to which thou returnest; and do not return to philosophy as if she were a master, but act like those who have sore eyes and apply a bit of sponge and egg, or as another applies a plaster, or drenching with water. For thus thou wilt not fail to obey reason and thou wilt repose in it. And remember that philosophy requires only the things which thy nature requires; but thou wouldst have something else which is not according to nature. It may be objected, Why, what is more agreeable than this [which I am doing]? But is not this the very reason why pleasure deceives us? And consider if magnanimity, freedom, simplicity, equanimity, piety are not more agreeable. For what is more agreeable than wisdom itself, when thou thinkest of the security and the happy course of all things which depend on the faculty of understanding and knowledge? 10. Things are in such a kind of envelopment that they have seemed to philosophers, not a few nor those common philosophers, altogether unintelligible; nay even to the Stoics themselves they seem difficult to understand. And all our assent is changeable; for where is the man who never changes? Carry thy thoughts then to the objects themselves, and consider how short-lived they are and worthless, and that they may be in the possession of a filthy wretch or a whore or a robber. Then turn to the morals of those who live with thee, and it is hardly possible to endure even the most agreeable of them, to say nothing of a man being hardly able to endure himself. In such darkness, then, and dirt, and in so constant a flux, both of substance and of time, and of motion, and of things moved, what there is worth being highly prized, or even an object of serious pursuit, I cannot imagine. But on the contrary it is a man’s duty to comfort himself, and to wait for the natural dissolution and not to be vexed at the delay, but to rest in these principles only: the one, that nothing will happen to me which is not conformable to the nature of the universe; and the other, that it is in my power never to act contrary to my god and daemon: for there is no man who will compel me to this. 11. About what am I now employing my own soul? On every occasion I must ask myself this question, and inquire, what have I now in this part of me which they call the ruling principle? and whose soul have I now? that of a child, or of a young man, or of a feeble woman, or of a tyrant, or of a domestic animal, or of a wild beast? 12. What kind of things those are which appear good to the many, we may learn even from this. For if any man should conceive certain things as being really good, such as prudence, temperance, justice, fortitude, he would not after having first conceived these endure to listen to anything which should not be in harmony with what is really good. But if a man has first conceived as good the things which appear to the many to be good, he will listen and readily receive as very applicable that which was said by the comic writer. Thus even the many perceive the difference. For were it not so, this saying would not offend and would not be rejected [in the first case], while we receive it when it is said of wealth, and of the means which further luxury and fame, as said fitly and wittily. Go on then and ask if we should value and think those things to be good, to which after their first conception in the mind the words of the comic writer might be aptly applied—that he who has them, through pure abundance has not a place to ease himself in. 13. I am composed of the formal and the material; and neither of them will perish into non-existence, as neither of them came into existence out of non-existence. Every part of me then will be reduced by change into some part of the universe, and that again will change into another part of the universe, and so on forever. And by consequence of such a change I too exist, and those who begot me, and so on forever in the other direction. For nothing hinders us from saying so, even if the universe is administered according to definite periods [of revolution]. 14. Reason and the reasoning art [philosophy] are powers which are sufficient for themselves and for their own works. They move then from a first principle which is their own, and they make their way to the end which is proposed to them; and this is the reason why such acts are named Catorthoseis or right acts, which word signifies that they proceed by the right road. 15. None of these things ought to be called a man’s which do not belong to a man, as man. They are not required of a man, nor does man’s nature promise them, nor are they the means of man’s nature attaining its end. Neither then does the end of man lie in these things, nor yet that which aids to the accomplishment of this end, and that which aids toward this end is that which is good. Besides, if any of these things did belong to man, it would not be right for a man to despise them and to set himself against them; nor would a man be worthy of praise who showed that he did not want these things, nor would he who stinted himself in any of them be good, if indeed these things were good. But now the more of these things a man deprives himself of, or of other things like them, or even when he is deprived of any of them, the more patiently he endures the loss, just in the same degree he is a better man. 16. Such as are thy habitual thoughts, such also will be the character of thy mind; for the soul is dyed by the thoughts. Dye it then with a continuous series of such thoughts as these: for instance, that where a man can live, there he can also live well. But he must live in a palace—well then, he can also live well in a palace. And again, consider that for whatever purpose each thing has been constituted, for this it has been constituted, and toward this it is carried; and its end is in that toward which it is carried; and where the end is, there also is the advantage and the good of each thing. Now the good for the reasonable animal is society; for that we are made for society has been shown above. Is it not plain that the inferior exist for the sake of the superior? but the things which have life are superior to those which have not life, and of those which have life the superior are those which have reason. 17. To seek what is impossible is madness: and it is impossible that the bad should not do something of this kind. 18. Nothing happens to any man which he is not formed by nature to bear. The same things happen to another, and either because he does not see that they have happened or because he would show a great spirit he is firm and remains unharmed. It is a shame then that ignorance and conceit should be stronger than wisdom. 19. Things themselves touch not the soul, not in the least degree; nor have they admission to the soul, nor can they turn or move the soul: but the soul turns and moves itself alone, and whatever judgments it may think proper to make, such it makes for itself the things which present themselves to it. 20. In one respect man is the nearest thing to me, so far as I must do good to men and endure them. But so far as some men make themselves obstacles to my proper acts, man becomes to me one of the things which are indifferent, no less than the sun or wind or a wild beast. Now it is true that these may impede my action, but they are no impediments to my affects and disposition, which have the power of acting conditionally and changing: for the mind converts and changes every hindrance to its activity into an aid; and so that which is a hindrance is made a furtherance to an act; and that which is an obstacle on the road helps us on this road. 21. Reverence that which is best in the universe; and this is that which makes use of all things and directs all things. And in like manner also reverence that which is best in thyself; and this is of the same kind as that. For in thyself also, that which makes use of everything else, is this, and thy life is directed by this. 22. That which does no harm to the state, does no harm to the citizen. In the case of every appearance of harm apply this rule: if the state is not harmed by this, neither am I harmed. But if the state is harmed, thou must not be angry with him who does harm to the state. Show him where his error is. Which Is a Beautiful Woman?